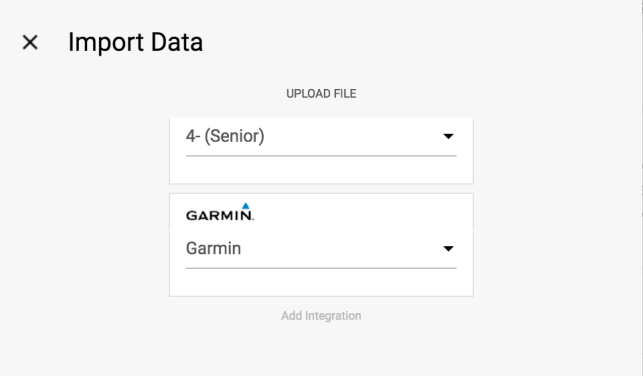 In Rowe.rs you can connect your Garmin Connect account to your Rowe.rs account making it easier to import data to your training sessions. Go to Integrations in your account settings.. Here you will see that you can connect to Garmin. Click on Connect and add the credentials you use for the logging into Garmin Connect. 1. Go to the session you want to import data to and select import. 2. You will see a dropdown where you can select Garmin Connect sessions from. 3. Once you have found the session you want in the dropdown click import and it will import both the GPS data and HR data from the session which you can now see all in Rowe.rs.